The Honorable Peter A. Buchsbaum, J.S.C. (Ret.) joined the firm, Of Counsel with the firm in 2016, specializing in dispute resolution in land use matters, specifically concentrating on contests between developers and municipalities on issues concerning affordable housing. Judge Buchsbaum's unmatched experience and scholarship in the field of land use are great assets to current and future clients of Lanza & Lanza LLP. His tenure as a practitioner, a Mayor and a jurist makes Judge Buchsbaum uniquely qualified to counsel clients attempting to reach fair resolutions to Mt. Laurel disputes and other land use matters. Judge Buchsbaum was appointed as a judge of the Superior Court in 2004 and re-appointed in 2011. He was assigned to the Law Division, Civil Part and the Chancery Division, Family Part, sitting in Hunterdon County until his retirement in 2013. 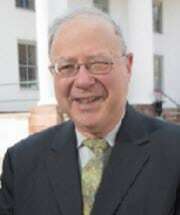 After his retirement, the New Jersey Supreme Court re-called Judge Buchsbaum to the bench part-time from July 2013 until April 2016, where he adjudicated land use disputes and served as Hunterdon County's probate judge. During his tenure on the bench, Judge Buchsbaum was designated the Mount Laurel Judge for Vicinage XIII, covering Hunterdon, Somerset and Warren Counties. Prior to his appointment to the Superior Court, Judge Buchsbaum was a partner in a large Middlesex County law firm, where he represented both public and private sector clients. His practice concentrated on zoning and land use planning, Mt. Laurel housing, municipal law, state regulatory processes and environmental litigation. Judge Buchsbaum previously served as Mayor of the Township of West Amwell, was a member of the Township Committee and served as a member of the Township's Planning Board. Judge Buchsbaum received his A. B. degree from Cornell University in 1967 and his J.D. from Harvard University in 1970. He began his legal career as law secretary to Joseph Weintraub, Chief Justice of the New Jersey Supreme Court. He and his wife, Elaine, live in West Amwell Township and have three adult children. He was honorably discharged from the United States Army Reserves in 1976.